Backsplashes are a modern addition to kitchen design. They are a functional and beautiful accent that can provide many design opportunities. Finding the supplies and services you need for a gorgeous backsplash is easy at Flooring N Beyond. We have provided quality materials and installation service to Miamisburg, Dayton and Centerville residents for years! You can design your own custom backsplash or have a pre-designed style installed in your kitchen or bath space. The prices are affordable and the process is faster than you may think. You can request our service using our convenient online system. We offer free quotes for homeowners who are interested in improving their homes. Best of all, you can trust that your backsplash will look beautiful and remain durable for years! Protection for your walls. Cooking can be a messy business. Oil spatter, food stains, and smoke damage all wreak havoc on painted walls. Water damage can pose a threat to the walls in both bathrooms and kitchens. Paint and plaster can wear away after years of water exposure. The result is a breeding ground for mold and mildew. A backsplash can offer an attractive layer of protection from food, water, and smoke. Easy maintenance. It is no surprise that cleaning backsplashes is much easier than trying to scrub walls! Choosing a material like tile or stainless steel can be a way to make your kitchen and bathroom spaces easier to clean. You can just wipe off the surface with a cloth rather than spend hours scrubbing. Tiles especially are known for their durability and natural bacterial resistance. Other materials like natural stone and wood can be sealed to retain their beauty and stay easy to clean. It is that simple! Hundreds of design options. The most fun part about getting a backsplash is designing it! There are tons of different colors and materials that you can mix and match. 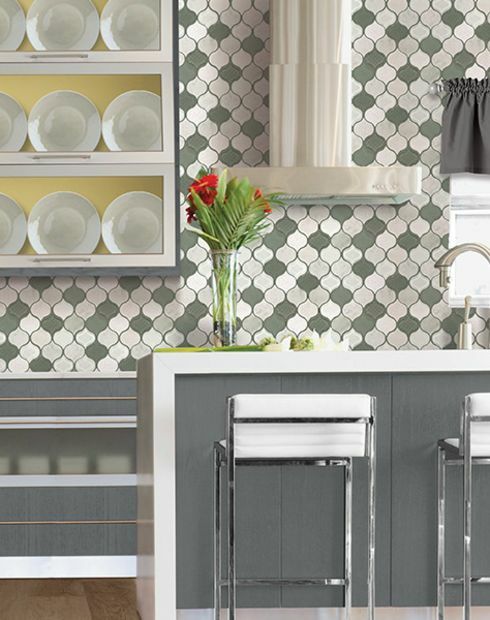 You can take a plain subway tile in a neutral and mix it with a brightly colored mosaic tile. You can choose materials like stone and hardwood for a rustic feel. A kitchen can incorporate several colors with style by having a multi-colored backsplash to pull them all together in a cohesive way. There are so many ways to utilize your backsplash in your design. There will always be a solution for your home interior. Not sure where to start? Help is never far. You can speak with our design consultants for suggestions on how to get the most out of your backsplashes. Shop for high-quality products and services in Miamisburg, Dayton, and Centerville at Flooring N Beyond!